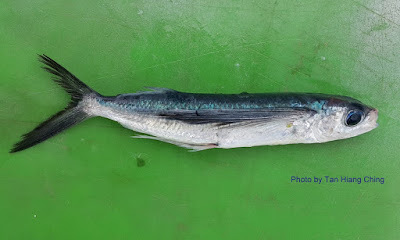 Flying fishes are members of the Exocoetidae family. They are found in the tropical and temperate water of the Atlantic, Pacific, and Indian oceans. Members of the family have wing-like pectoral fins, and unevenly forked tails, with the lower lobe longer than the upper lobe. 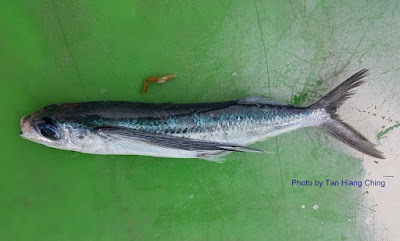 In some species the pelvic fins also are enlarged. They also have flattened corneas that enable them to focus in and out of the water. 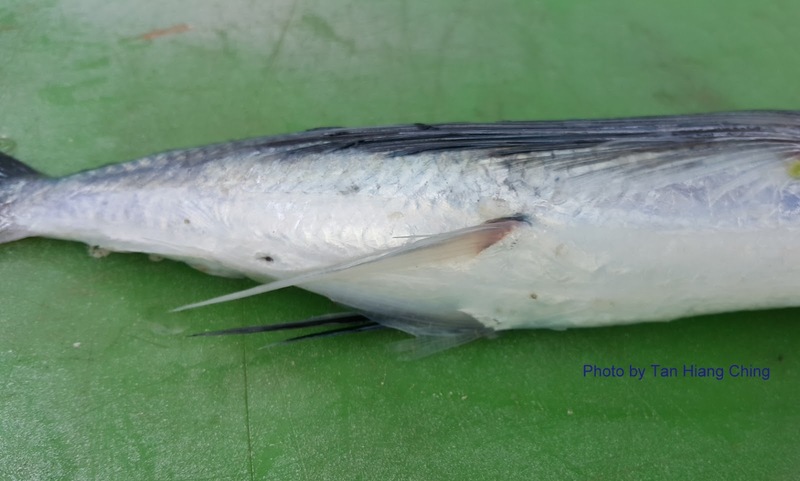 The lower jaw of juvenile flying fishes have an extended filament longer than the body, which becomes detached as they grow. Flying fishes live in large schools and feed on plankton. They are active at night and are attracted to light. Flying fish can make powerful, self-propelled leaps out of water into air, where their streamlined torpedo shape helps them gather enouh underwater speed to break the surface, and their long, wing-like pectoral fins enable gliding flight above water surface. 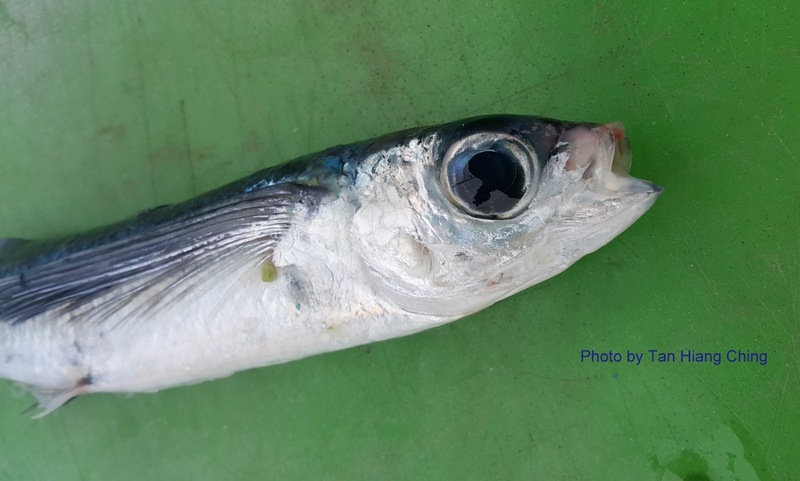 It is an uncommon natural defense mechanism to evade predators which include mackerel, tuna, swordfish, marlin, and other larger surface fishes. There are 7 genera and about 70 species of Exocoetidae worldwide. Malaysia has 5 genera and about 15 species.